Cardiologist Sameer Ather explains why not all heart failure patients benefit from taking beta blockers. Do you have heart failure, but hate taking beta blockers? If you are one of a subgroup of people who don’t benefit from these drugs, perhaps you do not need to take them. Read on…. Heart failure is a condition where the capacity of your heart to pump blood effectively is reduced. Its severity is most commonly measured on the left side of the heart as the left ventricular ejection fraction (or LVEF) and on the right side of the heart (that part of the heart pumps blood to the lungs) as the right ventricular ejection fraction. These terms are important to understand because they are factors that determine whether or not beta-blockers will work for you. Beta-blockers, such carvedilol (Coreg), metoprolol (Toprol), and bisoprolol (Zebeta), are one of the cornerstones of therapy for heart failure. The chances are, if you have been diagnosed with heart failure, you have already been prescribed a beta-blocker. The problem is that about a third of patients with heart failure do not benefit from taking this class of drug. If you are in the category of the patients who do not benefit from beta-blockers, you are not only spending money unnecessarily but are also at risk of having side-effects or complications from their use. (Perhaps you already have some side effects and that has motivated you to read this post.) Beta-blockers may also give a false sense of reassurance to both the patient and the doctor that something is being done to treat the condition. So, how do you know if you are one of the people who will benefit from this type therapy or if you are someone who doesn’t need it? Who benefits and who does not? In 2014, I published a paper in the journal Circulation titled “Clinical Predictors of Response to Beta-Blocker Therapy in Patients with Heart Failure and Reduced Ejection Fraction due to Non-Ischemic Cardiomyopathy.”1 It showed that heart failure patients who have low blood pressure and very low RVEF are at increased risk of death with beta-blocker use. Why is that? I believe, patients who have severely low RVEF and also have low blood pressure are the sickest of all heart failure patients. It is possible that such patients simply do not tolerate high doses of beta-blockers. If you have low blood pressure and very low RVEF and are experiencing any side effects from beta-blocker therapy, I would encourage you to talk to your doctor about withdrawing the beta-blocker therapy. Do NOT stop the medication on your own as suddenly stopping these medications can have serious adverse effects. 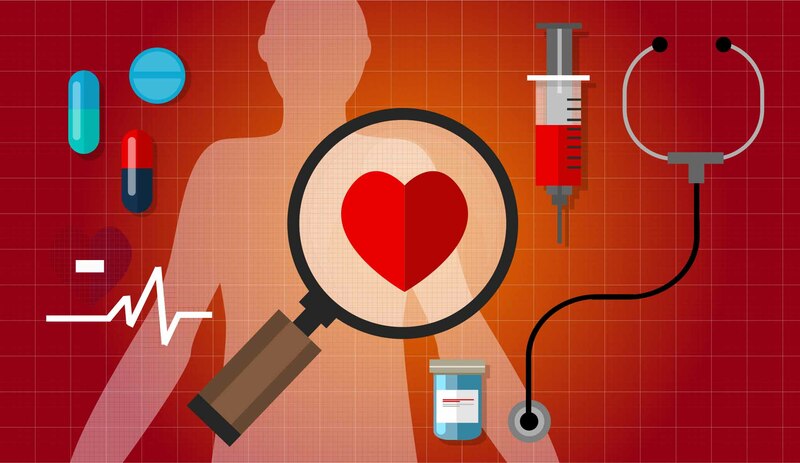 Compared to faster heart rates, studies have linked lower heart rates to increased longevity. In individuals with faster resting heart rates, beta blockers can effectively reduce the heart rate, and thereby, increase the effectiveness of heart’s pumping mechanism. Thus, if you already have low heart rate to begin with, it is unlikely that you will benefit from beta-blockers. Additionally, you will either not take a high enough dose to benefit your heart failure or, in case you do take a high dose, you will have side effects like weakness, dizziness, graying out spells, or blackouts. My research1 shows that patients who did not have an improvement in the pumping action of the heart had heart rates below 70 before starting beta-blockers. If you have mildly reduced ejection fraction, think twice before starting or continuing beta-blockers. de Groote and colleagues found that patients with heart failure and higher ejection fractions were less likely to benefit from beta-blockers than those with lower ejection fractions. If you are one of the patients who has heart failure with only a mildly reduced ejection fraction, you should discuss with your doctor whether you indeed need the beta-blockers. I have tried my best to summarize the existing data for you to assess whether you need beta-blockers or not. Considerable research needs to be done in this field to better identify patients who do not benefit from therapy. Unfortunately, in our zeal to do something, sometimes we unknowingly harm our patients. It is easier to lump every heart failure patient into one group and give them all the same medications, but think about it…how can 5 million heart failure patients be the same? Each patient is special and provides unique challenges. It is our responsibility to treat each patient as a unique individual and assess the risks and benefits of each medicine pertaining to that individual. 2. de Groote P, Helbecque N, Lamblin N, Hermant X, Amouyel P, Bauters C, Dallongeville J. Beta-adrenergic receptor blockade and the angiotensin-converting enzyme deletion polymorphism in patients with chronic heart failure. Eur J Heart Fail. 2004;6:17–21. 3. de Groote P, Delour P, Mouquet F, Lamblin N, Dagorn J, Hennebert O, Le Tourneau T, Foucher-Hossein C, Verkindere C, Bauters C. The effects of beta-blockers in patients with stable chronic heart failure. Predictors of left ventricular ejection fraction improvement and impact on prognosis. Am Heart J. 2007;154:589–595. Sameer Ather MD, Ph.D. is a Cardiologist based out of Birmingham, Alabama and is also the Co-Founder and CEO of website www.xpertdox.com, which is designed to help patients suffering from rare or serious diseases. He did his medical residency and Ph.D. at Baylor College of Medicine, Houston, TX, and completed his cardiology fellowship at University of Alabama, Birmingham, AL. His current research focus is to identify heart failure patients who do not benefit from beta-blocker (example: carvedilol, metoprolol) therapy. Previously, he has conducted basic science research in understanding the mechanisms underlying abnormal rhythms in the heart; and clinical research trying to understand the complex association between biomarkers and outcomes in heart failure.